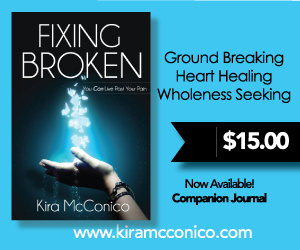 Kira McConico’s kingdom assignment is to deliver a movement of encouragement in a moment of despair. Her passion and life’s calling is to spread the message of hope to the hopeless and shine a light in darkness to all those who are hurting. 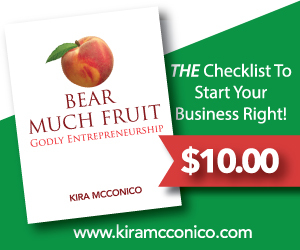 As an author she published two books; the ground-breaking book “Fixing Broken: You Can Live Past Your Pain” and “Bear Much Fruit: A Godly Approach to Entrepreneurship”. As Editor-In-Chief of Be Encouraged Magazine, Kira oversees the day-to-day functions for this cutting-edge Christian magazine. 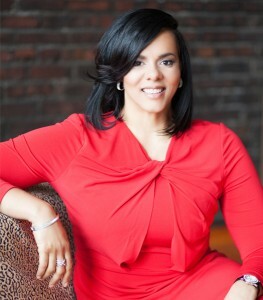 Kira founded Be Encouraged in 2012 as a monthly newsletter with a little over 400 monthly readers. More recently, Kira founded the “It’s Time To Heal Conference”. 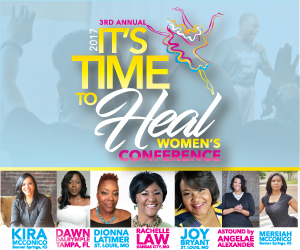 This 2-day conference takes attendees on a journey to fix the broken places in their life through an intimate setting of Praise and Worship, Break Out Sessions, and hands on activities. By trade she is an entrepreneurial business coach and graphic designer specializing in brand development. As a business coach she has been instrumental in the successfully elevation of more than 150+ small businesses over the past ten years. In 2005, Kira along with her husband founded, Integrity Designs, a graphic design firm focused on creating custom branding and marketing collaterals. Her work is known across the country with clients in several states. Calling Kansas City, Kansas home, Kira McConico says her most successful work is her family; including her husband, Jason and their four children; Nahshon, Mereiah, Jason II and James II. She enjoys golfing, writing and serving in ministry at Bonner Springs Grace Temple Church. She is a long-standing partner with the Urban League of Greater Kansas City, serves on the Board of Director for R.U.B.I.E.S., Inc., a youth mentorship non-profit organization and is a member of Sigma Gamma Rho Sorority, Inc .